I haven't linked to Work in Progress Wednesday for a very long time. In fact, blogging has taken a backseat but all for a good reason. I have been able to get a lot of projects finished and have started several new ones. 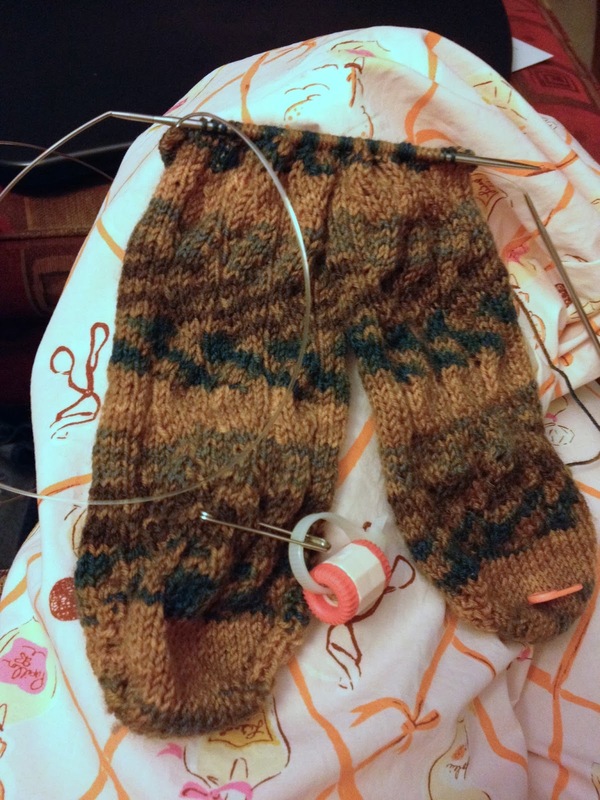 My second pair of knit socks are on the needles and more than halfway finished. 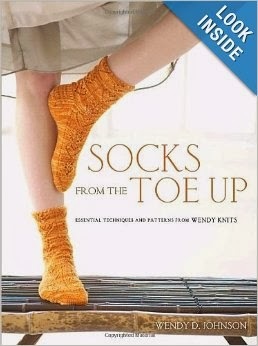 I'm enjoying making these Serpentine Socks from the Socks from the Toe Up book. I am so excited about this pattern and will have a full review very soon. My friend, Susannah Kate, has designed this pattern that is so easy to make; she has written a great pattern. 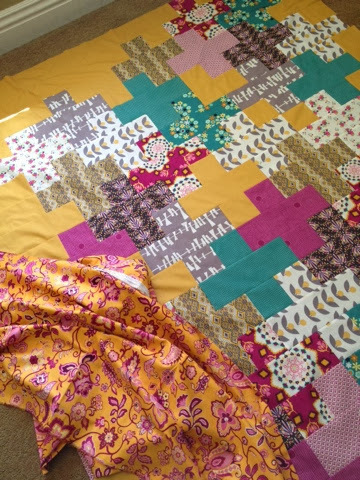 I have finished quilting it and it just needs binding. The Cascade Quilt is one you will all want to make. Cute quilt. Love the backing fabric. Knitting I admire but shall never do. Just can not. I love the color choice! Nice and bold. Of course you picked some amazing fabric too. Can't wait to see it quilted and bound! Oh so clever with the sticks! I need to find my knitting needles and try to get back into it. Love your socks! Love the quilt as well. I love the colors in that quilt! Bright and bold!